Just-in-time (otherwise known as JIT) manufacturing, is a production model in which products are created to meet immediate demand, and not to create inventory for future sales. The purpose of JIT production is to avoid the waste connected to overproduction, and excess inventory. JIT manufacturing is supported by utilizing just-in-time parts and material. Just-in-time inventory is a strategy employed to increase efficiency and decrease waste by receiving parts and material only as they are needed in the production process, thereby reducing parts and material inventory costs. This method requires manufacturers to forecast demand accurately. JIT is a Japanese management philosophy which has been applied in practice since the early 1970s in many Japanese manufacturing companies. It was first developed and perfected within the Toyota manufacturing plants as a means of meeting consumer demands with minimum delays. If correctly adapted, JIT manufacturing has the ability to strengthen a manufacturer’s competitiveness in the marketplace by reducing waste, improving product quality, and increase the efficiency of production. JIT manufacturing supplements continuous improvement by attacking fundamental problems, such as anything that does not add value to the product. It helps to devise systems to identify snags. JIT makes for a simpler system, which is easier to understand and manage; and less time is used to move material, parts and finished product. JIT manufacturing eliminates waste from overproduction, wasted employee time, unnecessary or excess motion, unnecessary inventory, and product defect waste. Although JIT manufacturing is potentially an efficient way to manufacture, it is not without potential problems. The biggest problem is running out of stock. By not carrying much stock, it is necessary that the manufacturer has accurate procedures in place to ensure stock can become readily available. Therefore, it is important that the manufacturer have a solid relationship with its supplier(s). JIT means that the manufacturer becomes reliant on the dependability of its supply chain. Also, it is important to have a backup source should the key supplier have delivery problems or goes out of business. For JIT manufacturing to work, a manufacturer must rely on its suppliers to timely make deliveries; or there is a risk of delaying a customer’s receipt of goods. Obviously, if a manufacturer doesn’t meet its customers’ expectations, its customers could take their business elsewhere. This leads to the requirement that companies understand their sales trends and variations in detail. Most companies have seasonal sales periods. Therefore, they need to factor that into planning for inventory levels, ensuring suppliers are able to meet different volume requirements at different times. Once the parts and raw material arrive, the production needs to be as automated as possible for efficiency. A radical new type of interconnectivity has recently come to factories fueled by digital technology. As manufacturers continue to pursue more efficient production and ways to identify problems more intuitively, factories have become “smart” and the latest frontier in machine-to-machine communications. Today, a smart factory is a reality. The ability for machines to talk to other machines, and to humans, is ushering in an age where factories can adapt to workflows in real time. The smart factory is one way engineers are creating an awesome tomorrow. A smart factory combines universal computing technology as an enabler for solving problems on the shop floor with existing components. Therefore, a smart factory is a factory system in which autonomous and sustainable production takes place by gathering, exchanging and using information transparently anywhere anytime with networked interaction between man, machine, materials and systems, based on global manufacturing technology. A smart factory concept could allow for manufacturing several different products at the same time by increasing the degree of machine utilization, reducing in-process inventory as well as decrease response time in order to meet customer preferences. Dell is a good example of JIT manufacturing. Their approach is a little different in that they provide lead times that are shorter than most of their competitors. They accomplish this by negotiating with suppliers to carry inventory instead of carrying it themselves. 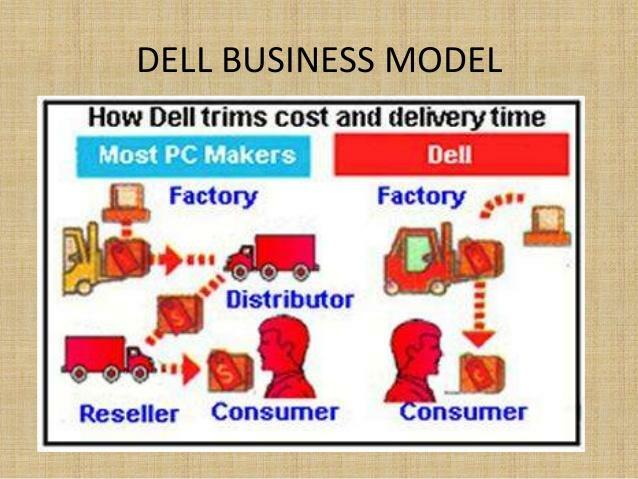 By requesting components with short lead times, it is simple for Dell to assemble and ship to customers. Their process is considered a success basically because of their dependable suppliers and the short lead times. Harley Davidson is another example of JIT manufacturing. Showing a less than efficient process, they turned to JIT. After implementing JIT at Harley Davidson, the inventory levels declined by 75 percent. At the same time, productivity rose. By implementing JIT manufacturing, they could identify and solve the inefficiencies of the process because wastefulness could no longer hide under a large amount of costly inventory. In order to keep pace with its supply chain initiatives, Harley-Davidson went a step further and created a real-time system with bar coding for all parts. Its supply chain improvement initiatives created off-site "Material Velocity Centers" that replaced in-factory receiving areas. The move is designed to centralize parts supplies, improve logistics, free up factory floor space and create a more efficient supply chain and manufacturing operation. Harley is making more motorcycles in one building than they did in all their old ones. Robots now steadily weld parts together—faster and precisely than previously. They roll out 20% more fenders per shift than in years past, with two fewer employees. Conveyor belts transport parts through the painting process that once stretched nine miles—now three miles in length. Workers have one of five job classifications, a significant change from the 65 classifications that was used in the old manufacturing process. Some products will not need any inventory, just a pattern of the product to be produced when needed. 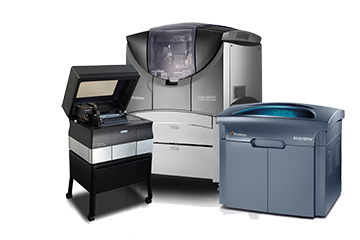 This is accomplished utilizing 3-D printers, which allows a manufacturer to print large volumes of product when needed—again not requiring inventory. This is another form of JIT. Instead of purchasing actual parts, a manufacturer purchases only the 3D CAD design, which can be printed at the manufacturing facility. The manufacturer buys a commercial scale 3D printer, and prints out the parts, thus eliminating the need to ship again and again and paying for the logistics costs each time. With 3D printing, product changes and mass production of identical goods is affordable and quick. When 3D printing is more common to reproduce for large scale manufacturing, assembly lines wouldn't be as central to the production process, saving the manufacturer time, labor and logistics costs. The JIT manufacturing system is popular with both small and large manufacturers because it provides a more efficient use of working capital and improves the cash flow. The JIT system can be especially helpful to small businesses that are just starting out, since it can reduce the amount of capital required to get the business up and running and avoids the business tying up money in unneeded inventory.